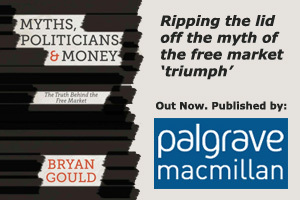 When Lord Myners proclaimed this month that “there is nothing progressive about a government that consistently spends more than it can raise in taxation” he gave support and comfort to one side of an argument that is at the heart of the new government’s agenda – what to do about the government deficit. Lord Myners’ intervention was all the more significant because it came from someone who, just a few weeks ago, was a minister in the Labour government. He weighed in on the side of those who seem to assert that the first priority of the new government must be to get the deficit down; but he may have also given us a clue as to why Labour’s position on this issue during the election campaign was so confused. Most commentators agree that the global financial crisis has prompted an overdue resurrection of the reputation of last century’s greatest economist. But, for Lords Myners it seems, Lord Keynes may never have existed. He continues to exhibit an unreformed attachment to one of the most common fallacies in economic thinking over the past thirty years. It is a common assumption in right-wing thinking that the government should be regarded as merely an individual person or corporation writ large, and that it should therefore always act as a prudent individual would do. Although most individuals would plead guilty to the charge of borrowing in order to build or acquire an asset (like a house), the government – according to this view – must never spend beyond its means. In a recession, when individuals stop spending and investing, and the government’s tax revenues therefore decline, the government must also slam on the brakes. This view is especially ironic when a large element in the government’s indebtedness is the money provided to bail out failed institutions, and especially banks, in the private sector. But, more importantly, it completely overlooks the responsibility of governments during a recession to lean against the logic of the market. As Keynes saw, a government that behaves in a recession as everyone else behaves will simply make the recession worse. It is the special role of government in that situation not to retrench but to use its huge resources, its ability to create new money through “quantitative easing”, and its responsibility to take the longer view and to act in the common interest, in order to stimulate the level of economic activity so as to shorten the recession and thereby restore its own financial position as soon as possible. A government that ignores that responsibility and focuses narrowly on its own short-term financial position is likely to see the recession last longer with inevitable longer-term consequences for its own tax revenues and finances. A braver government that lives with a deficit as its contribution to a counter-recessionary strategy will see its tax revenues recover faster and – paradoxically, it may seem – bring the deficit under control sooner than it would otherwise have done. None of this means that government spending should be let rip. If the deficit is to be effective in bringing the recession to an end, the spending must be economically worthwhile. The new government is quite right to scan the whole of its expenditure so as to eliminate wasteful, unnecessary or ineffective spending. The spending that is undertaken must not be focused on consumption but on encouraging investment, employment and improved productivity. The goal must be investment in an improved economic performance for the future so that a double bonus is obtained – an immediate counter-recessionary boost to the level of demand in the economy that takes the form of a counter-cyclical stimulus to longer-term productive capacity. To follow this course requires political courage and political leadership. The Lord Myners of this world are always quick to condemn a departure from what passes as orthodoxy. It is not something that should be sub-contracted to officials. The new government has received plaudits for setting up the Office for Budget Responsibility and George Osborne has now announced greater regulatory responsibilities for the Bank of England. But these agencies cannot be expected to take the tough decisions about the overall course of the economy that are now necessary. That is what we elect governments to do. The new government must step up to the mark. This article was published in the online Guardian on 14 June.